[01:04] Erik, please tell us about your background? Where did you grow up? Where did you go to college? Joined Loadsmart in April 2018. Previously, Erik was the Director of Strategy at AFN, a Chicago-based truckload brokerage. Prior to his time at AFN, Erik was the Executive Vice President of CarrierDirect, a boutique strategy consulting firm and advised companies such as Werner Enterprises, Worldwide Express, and BlueGrace Logistics. While he was leading CarrierDirect, the company was ranked #261 on the INC5000 for the fastest growing companies in America, with a 3-year growth rate of 1,729%. 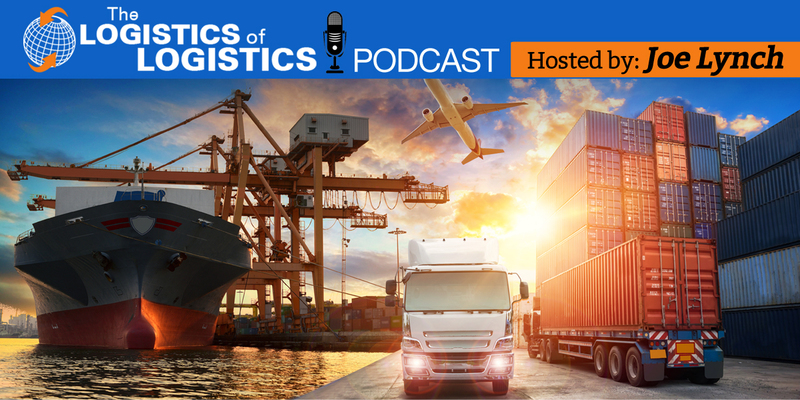 Erik has been a guest speaker for multiple companies and conferences, including the Denver Transportation Club, Landstar and most recently the 3PL & Supply Chain Summit: Atlanta. BA, Finance, Michigan State University. [02:06] You went to MSU for finance. What made you pursue a career in logistics? I have a deep appreciation for the impact that logistics has on the economy and people’s lives. I enjoyed the level of transformation that the industry was going through when he first became interested. [03:17] I have seen Loadsmart in the news a lot lately – clearly bringing some innovation to the freight brokerage space. Tell us about it. Starts with customer experience. We make promises to their customers and build the technology to deliver on them. Technology enabled through artificial intelligence (AI). Loadsmart complements their services with strategic partnerships. [04:57] What exactly is artificial intelligence and how does it work? How does it add value to the process? AI is the practice of using machines to make decisions that usually require human intelligence. Things that were once considered AI can be so common that they are hardly considered AI anymore. Loadsmart leverages data from public and private sources. AI adds value by providing a greater degree of optionality to Loadsmart’s customers and allowing us to guarantee capacity. [08:12] Does AI enable your people to predict service failure? Yes, our AI technology understands patterns and uses those to make predictions. We can be proactive instead of reactive by using AI. It helps us make decisions to ensure capacity for our customers. [10:40] Using AI, are you replacing headcount or are you still having people on board to help your customers out? We understand the difference between automation and empowering people. There are areas where it makes sense to automate, but other areas where humans should be making the decisions. [12:42] How does Loadsmart using AI create a better experience for carrier networks? The best logistics networks are backed by a strong carrier portfolio, and a healthy carrier is also the backbone of any logistics platform. Focusing people to where people should be used, we’re able to work with our carriers to ensure that they stay healthy. By forming these relationships, we enable carriers to fill out their networks and improve their revenue per truck. [14:31] So you guys are trying to track revenue per truck? It’s not necessarily as simple as tracking revenue per truck, but you can pretty easily tell if you’re paying a healthy rate. There are other things that may be pricing mechanisms but are more like a language. [16:12] I like that it’s a better experience for the carrier and the shipper, which is something that freight brokerage didn’t always pursue. It sounds like the AI tools help you deliver that experience. We are very focused on adding value to both sides. [16:50] If somebody wants to connect with you or learn more about Loadsmart, how would they do that?